Just a quick follow up today, to the whole live-in caregiver policy change situation. 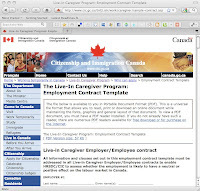 Along with the changes that I mentioned in my previous blog posts, Citizenship and Immigration Canada has now posted a template for the new suggested employment contract. 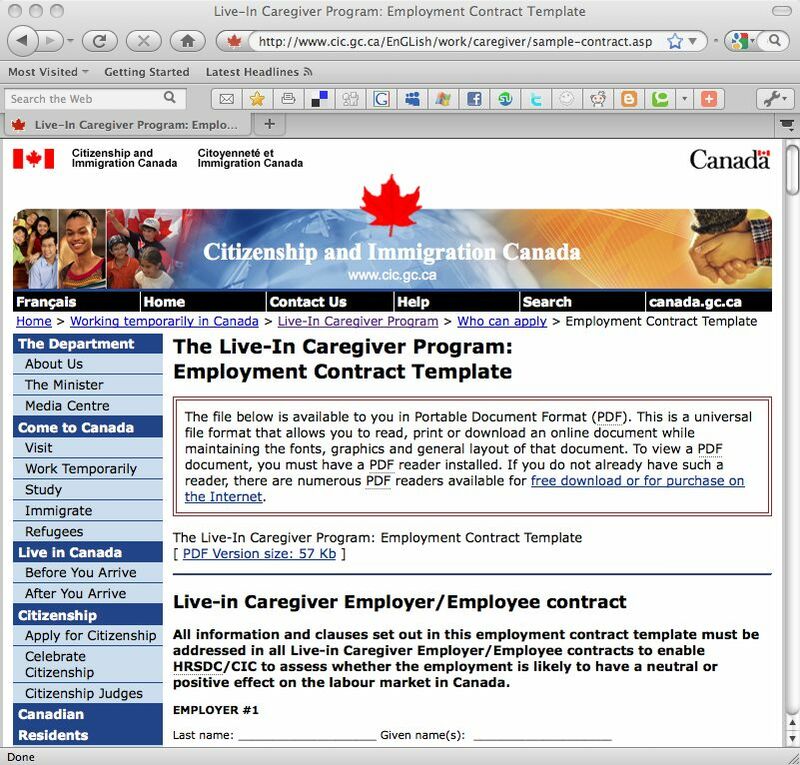 Again, if you already have a live-in caregiver with a valid work permit, who was brought in on a previous LMO, you don't need to use this contract. But it couldn't hurt to follow their standards right? Please note today’s FAQ content is offered as information only, and relates only to Canadian regulations. Please conduct your own research or consult a professional for advice on your personal situation.